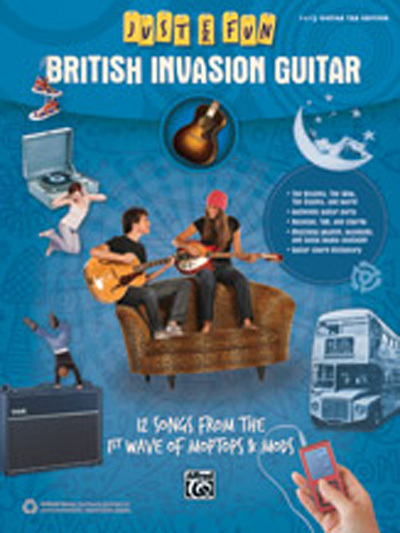 Just for Fun: British Invasion Guitar is designed for your total enjoyment. Each featured song is arranged from the original guitar parts, simplified just enough to keep it fun and easy, yet musically very satisfying. Standard notation, TAB, chords, lyrics, and a chord dictionary are included. Plus, ukulele, mandolin, and banjo books with matching arrangements are available---just for fun!